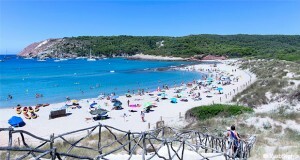 The small town Es Grau is located on the east coast of Menorca. 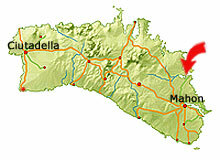 The distance to the capital, Mahon, is a little under 9 km, whereas the distance to the airport is a bit longer. However, the trip from the airport only takes 20 minutes by car. 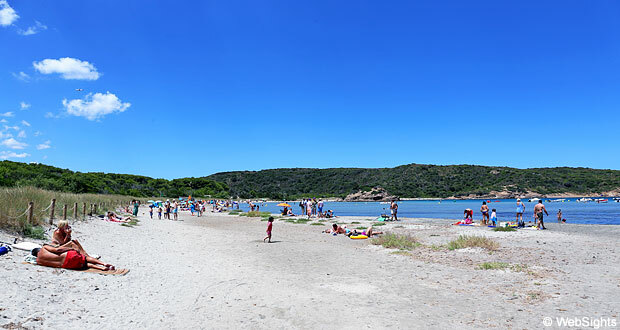 Platja des Grau is well protected inside a bay. 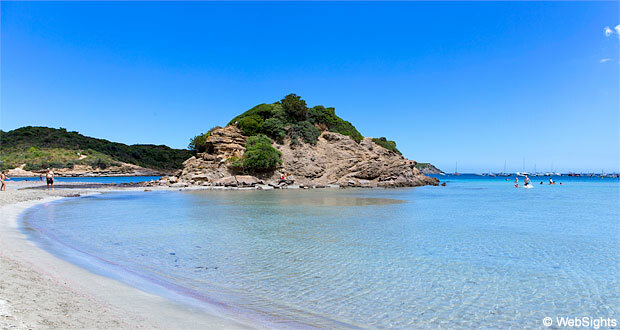 The lovely beach is almost 500 m long, but it is split in the middle by a large rock. The beach is mainly covered with fine-grained sand, but also have some areas with a few pebbles. The water inside the bay is very shallow and there are rarely any waves. There are no facilities at the beach, and this may be the reason that the beach is hardly ever crowded. 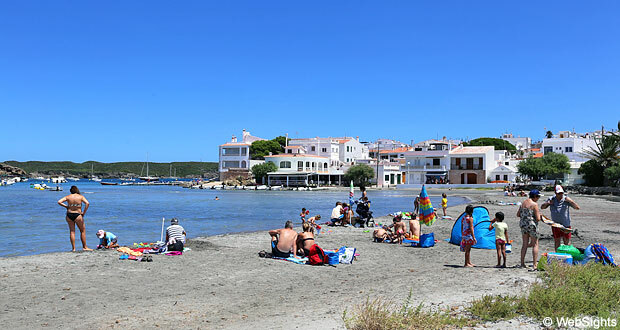 During the weekends, however, many locals from Mahon come to the beach. The area is part of the nature reserve S’Albufera des Grau. From the beach, there are several marked trails into the hinterland, where there is also a big lake with shallow water. It is a very beautiful area for a hike and the landscape is a real adventure for children. 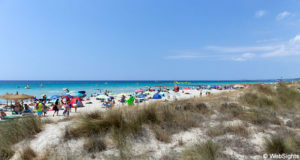 The water is very shallow and almost always calm, which makes this beach one of the most child-friendly beaches in Menorca. 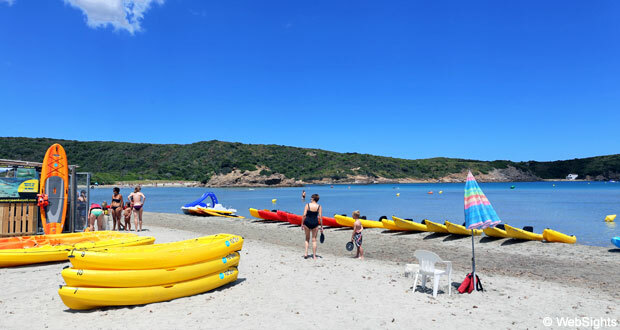 It is possible to rent kayaks and water bikes at the beach. The calm water in the bay is perfect for both activities. The charming Restaurant Tamarindos is located right next to the beach. The specialties of the house are paella and fideuà, which is a type of paella with noodles. Es Grau is a small and very relaxed town. The status of the area as a nature reserve ensures that the construction activities are very limited – also in the future. There are no hotels among the whitewashed houses in town. However, there are a few private holiday homes, which can be rented via different websites. The visitors in town are able to enjoy its four restaurants and bars, and the daily grocery shopping takes place in the small supermarket. As the map clearly illustrates, Platja des Grau is located inside a bay. To the left of the beach, you can see the lake, which is part of the nature reserve. In front of the bay, you will find the island S’Illa d’en Colom with the small sand beaches Arenal d’en Moro and Tamarells.